STUDY | Spend the week studying 1 Kings 3:3–13. Consult the commentary provided and any additional study tools to enhance your preparation. LANDING POINT | God gives wisdom when we humbly ask for it. Life is complicated, full of perplexing questions and tough decisions. And we want answers. We want guidance in making tough decisions. We want life to be ordered and manageable, not a chaotic mess. As much as we want it to be, life is rarely neatly ordered and easy to navigate. We are limited. We don’t have all the knowledge and education necessary to address every unique situation in life. We need help. We need a guide. We need a map to help navigate the complexities of life. Q: Where can life be most complicated and perplexing to you? Q: Why is understanding the source of wisdom important in gaining it? Solomon had established himself as king over Israel. As he sat in power over a nation, his crown weighed heavy upon his head. The thought of leading God’s people as their ruler was daunting. He loved God and wanted to honor Him and honor his father, David. But he was just a man. How could he possibly be up to the task? Then God came to Solomon with an offer unlike any other. Read: 1 Kings 3:3–13. Split into pairs and retell the story in your own words. Q: What can you learn about godly leadership from Solomon in this story? Q: Solomon experienced God’s pleasure. Where do you experience God’s pleasure? Q: How would you explain that wisdom is worth seeking above riches, fame and power? There is much we can learn about wisdom from Solomon’s encounter with God. 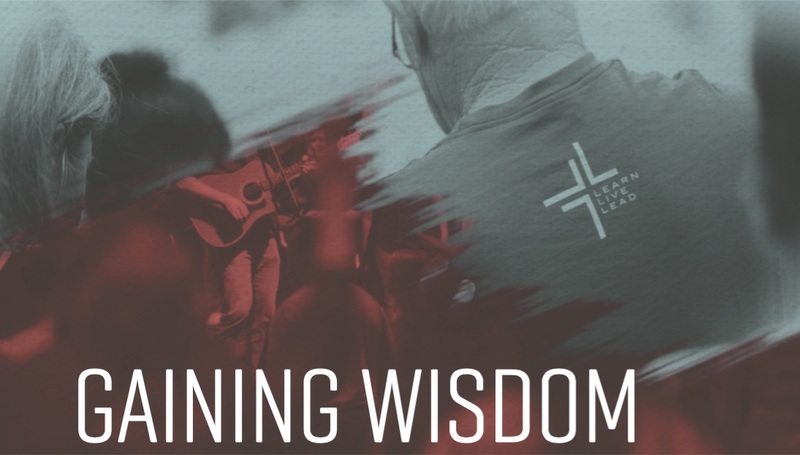 From his story we learn about: 1) wisdom’s foundation, 2) what you need to gain wisdom and 3) what wisdom gives you. God’s love is the foundation of wisdom. Wisdom comes because of who God is. God gives wisdom because He is loving and generous to give it, not because we are good and deserve it. We are anything but deserving, but God is gracious to give us the gift of wisdom. “If any of you lacks wisdom, let him ask God, who gives generously to all without reproach, and it will be given him” (James 1:5). God is delighted when you come to him with your needs. Ask for wisdom and He will give it to you, because His character is loving and generous to those in need. Q: How does God show His love by giving you wisdom? Solomon didn’t appeal to his position as king. He didn’t think he was any better than those over whom he ruled. He knew he couldn’t lead God’s people without God’s guidance and understanding. Solomon stood before God with a humble heart. Humility is the prerequisite for gaining wisdom. What is humility? Humility is “being free from arrogance and pride and having an accurate estimate of one’s worth.”2 Humility isn’t looking down on yourself. It’s seeing yourself in a right way. You can’t have wisdom without humility. A humble heart receives wisdom. A proud heart rejects it. God gives grace to the humble, but he opposes the proud (James 4:6). Q: Describe someone whom you view as truly humble. As you gain wisdom, something happens. Your heart becomes tender toward God. Wisdom’s reward is a heart that is soft and responsive to God. Wisdom softens your heart to hear God’s Word and discern what is the right thing to think or do in a given situation. It makes you more sensitive to God’s leading and how you can honor Him. A tender heart is a hearing heart. If you want to walk in wisdom, be humble and let God make your heart tender toward Him. Q: Where does your heart need to be more tender right now? Q: What’s one thing you can start doing this week to walk in wisdom? Q: How is God’s wisdom different from other types of wisdom based on principles? As God generously gives you wisdom, you are to generously give it to others. There are people out there who need to hear God’s wisdom from you. God wants to use you to spread His wisdom to others. God gets glory when you receive His wisdom and pass it on to others. God wants to use you to help someone else enjoy real life and joy in Him through the wisdom you have to offer. Q: Name one person you can share the wisdom of Jesus with this week. Where do you need God’s wisdom most right now? Ask God for it. He will generously give it to you. Pray for someone specific who needs to discover Jesus Christ, the true source of wisdom. Read James 3:13–18 and reflect on what James says about the wisdom that comes from God. Why Was Solomon in Gibeon? What motivated Solomon’s prayer? It wasn’t a concern for his own needs. The king revealed his true character by asking God for wisdom to lead God’s people. He didn’t want wisdom just to be personally successful. He wanted wisdom that would bene t and make God’s people prosper.5 What’s your motivation in gaining wisdom, personal gain or being a blessing to others? Wisdom literature in the Bible is “a genre of writing featuring wise sayings and astute observations. These writings teach how to live according to such principles as intelligence, understanding, common sense, statecraft, and practical skills.”6 Most of the wisdom literature in the Bible is found in Proverbs, Ecclesiastes and Job. 1. John Piper, “Get Wisdom” (sermon, Bethlehem Baptist Church, Minneapolis, MN, May 24, 1981), https://www.desiringgod.org/messages/get-wisdom. 2. Gary Hardin, “Humility,” ed. Chad Brand et al., Holman Illustrated Bible Dictionary (Nashville, TN: Holman Bible Publishers, 2003), 792. 3. Matt Smethurst, “Tim Keller Wants to Help You Become Wise: Gleaning Daily Wisdom from Proverbs,” The Gospel Coalition, November 6, 2017, https://www.thegospelcoalition.org/article/keller-wants-to-help-you-become-wise/. 4. D. A. Carson, ed., NIV Zondervan Study Bible: Built on the Truth of Scripture and Centered on the Gospel Message (Grand Rapids, MI: Zondervan, 2015), 607. 5. Dale Ralph Davis, 1 Kings: The Wisdom and the Folly, Focus on the Bible Commentary (Great Britain: Christian Focus Publications, 2002), 37. 6. David K. Stabnow, “Wisdom Literature,” ed. Chad Brand et al., Holman Illustrated Bible Dictionary (Nashville, TN: Holman Bible Publishers, 2003), 1677. 7. “Wisdom Series: About Wisdom Literature,” The Bible Project, accessed November 1, 2018, https://thebibleproject.com/explore/wisdom-series/.